In time for March Madness (how’s your bracket looking? 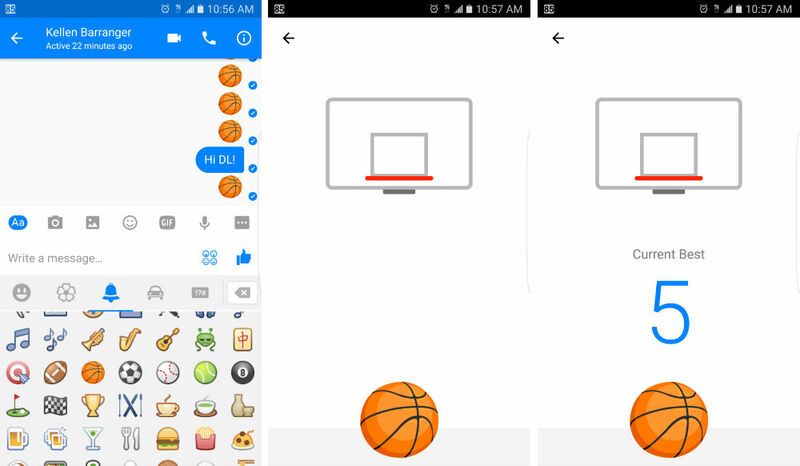 ), Facebook has built in a basketball easter egg game for users of Messenger. When activated, a mini shooting game pops up, testing your finger flicking skills against your friend. To start the game up, insert a basketball emoji into the chat. Then, tap on the basketball. Once your turn is over (you miss a shot), it’s your friend’s turn to see if they can best you on the court. You can continue to keep playing however much you would like. The best I can do at this time is 15, and once you get past 10 made shots in a row, the basket starts moving left to right, making the game more challenging. Make sure you are running the latest build of Messenger, then go challenge your friends.